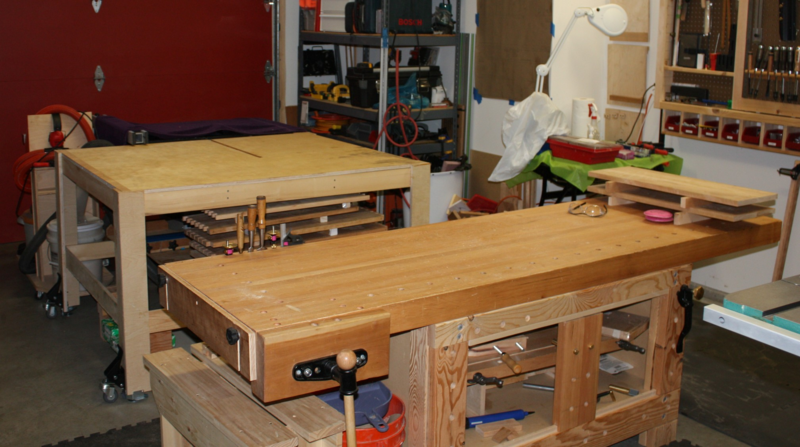 My shop space has been bugging me …. So I spend the weekend selling off some tools I wasn’t using, cleaning the shop and building this assembly/outfeed table on wheels. 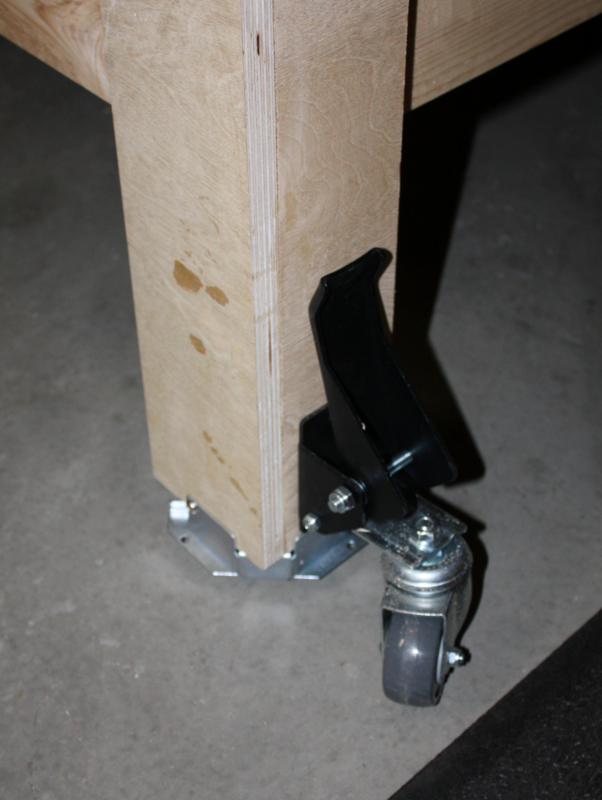 I’ve been using a plywood sheet on saw horses which shorta hogged the space underneath it. So it don’t LOOK like a big change, but it opened up the space underneath and tidied things up nicely. You can see that my paper pattern is still on the wall and my tool cabinet is still in the making. I’ve notice that I tend to clean my desk at work if I start feeling overwhelmed at work. I’m thinking that this project might have been a similar organization exercise. And it always makes me feel better. Procrastination or a response to feeling over whelmed?? Or, something that just needed to be done? Maybe all three?? This entry was posted in assembly table, outfeed table, wheels. Bookmark the permalink. 4 Responses to My shop space has been bugging me …. Marilyn,I think it's all three. I'm in a bit of the same boat myself. I spent the evening today working on cleaning my shop (for pragmatic reasons though it felt very relaxing). It's renewed my desire to be in there and I'm now itching to get back and finish the clean up. Good luck getting the tool cabinet put together soon. I know the feeling. I really didn't have much time to spend in the shop this summer and when I did it was not to clean and organize. So, I spend the weekend last month just doing that and wow what a difference it makes when things find a home again. I was just thinking last night as to what my ideal shop would be and the answer is simply a place that I feel comfortable in. Something must be in the water cause when my buyer came to pick up the table saw this weekend, instead of getting back to work on the latest Hand Tool School video, I spent several hours feng shuei'ing the shop, moving things around and hatching plans for a major remodel. For me it is long over due and my working style has changed. The shop needs to go with it. I really think that tidying up the shop is very therapeutic! The tool cabinet WILL get done.